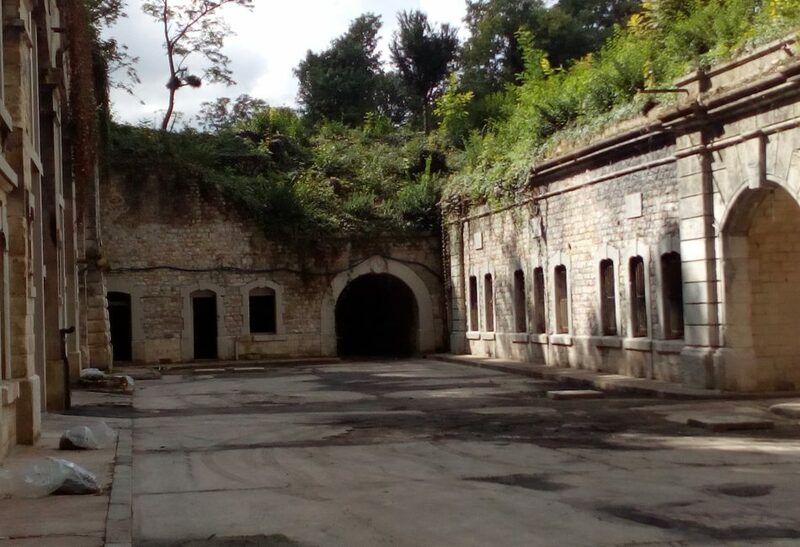 A unique military heritage, the Fort de Villiers is one of the second ring of forts built by Thiers after France’s defeat in 1870. It lies between the A4 motorway and the railway lines of the RER E in the centre of a residential sector which has numerous sports facilities. Despite having easy road access, the site does not have very good public transport services. A single bus line links it to the RER A and RER E stations at Mont d’Est, Noisy-Champs and Les Yvris. Surrounded by moats and woods, the fort is almost hidden from the public eye. Abandoned and now very run down, the site has a considerable number of qualities which could be enhanced and made available to the general public by developing new activities which respect the natural character of its setting. Improvment or renovation of buildings, enhancing of natural wooded spaces. Opening of the Fort to the public thanks to sports, leisure, cultural, or educational activities.